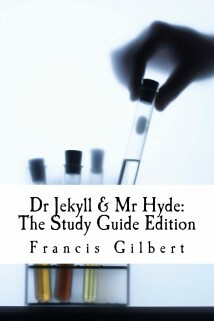 Are you struggling to understand Robert Louis Stevenson’s classic novel “Dr Jekyll and Mr Hyde”? Or are you an English teacher wanting ready-made exercises and guidance to help you teach this difficult text? Do your students need support to understand the language properly and work independently on the book? This brilliant edition of Stevenson’s novel may be the answer to your prayers. Written by an experienced teacher and best-selling author, this version is aimed at students who must analyse the text in depth or teachers wanting to deliver outstanding lessons on it. This book contains an annotated complete text, numerous essays on the novel, including detailed accounts of Robert Louis Stevenson’s life, relevant contexts and discussion of vital themes and imagery. The complex vocabulary of the book is analysed throughout, and simple explanations of what is happening punctuate each chapter. Furthermore, there are academic explorations of the issues as well as comprehensive question and answer sections at the end of each chapter, including a “fill-in-the-blanks” summary to check understanding. At the end of the guide, there is advice on how to write successful essays and assignments. There are also plenty of pointers to help students develop their own personal responses, including thought-provoking thematic questions, links to the author’s YouTube readings and explanations, and creative response tasks. You can buy the book on Amazon, or here at the CreateSpace shop.